The staff was really available and nice. The breakfast was excellent. Le lieu (Petit village) sur les hauteurs était très authentique. Sehr freundliches Personal obwohl wir 'nur' übernachtet haben ohne das Restaurant zu nutzen. Wir haben eine Jacke im Zimmer vergessen, die wir umgehend zugeschickt erhielten. Der persönliche Service d.h. individuelle Bitten,wurden außergewöhnlich gut behandelt. Hotel Conca Bella, Restaurant & Bar This rating is a reflection of how the property compares to the industry standard when it comes to price, facilities and services available. It's based on a self-evaluation by the property. Use this rating to help choose your stay! Family-run for over 30 years, Hotel Conca Bella is located in the south of the Canton of Ticino, 0.6 mi from Chiasso and close to the Italian border. Set in a quiet and sunny position, it is ideally placed for discovering the Muggio Valley, Monte Generoso and the Mendrisiotto region, as well as the nearby lakes of Lugano and Como. The hotel has 17 rooms equipped with every comfort such as free WiFi, a bath or shower, a mini-bar, telephone, alarm clock and TV. 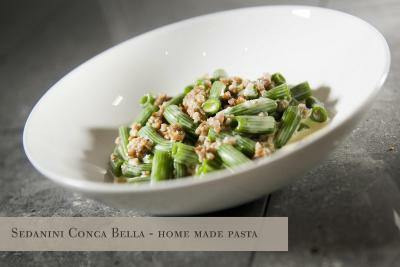 The Al Conca restaurant offers simple and authentic dishes inspired by Italian and Ticino cuisine. 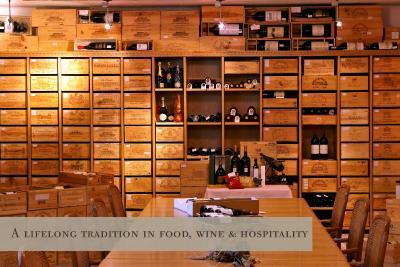 The wine cellar stocks many good wines and is also available for private or business events. The Al Conca wine bar has a bright terrace (heated in winter) and serves a wide selection of drinks and open wines, which can be accompanied by special and fresh snacks. Hotel Conca Bella is 0.6 mi from Chiasso and the Switzerland-Italy border, 3.7 mi from Como, 12 mi from Lugano and a 35-minute drive from the Milan Congress Center. Free public parking is available nearby. The hotel can also be easily reached by public transport. This property also has one of the top-rated locations in Vacallo! Guests are happier about it compared to other properties in the area. This property is also rated for the best value in Vacallo! Guests are getting more for their money when compared to other properties in this city. 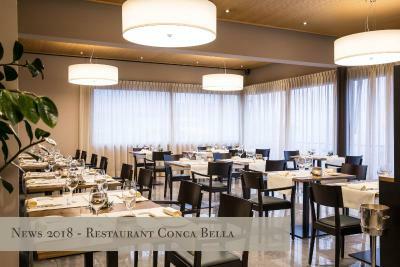 When would you like to stay at Hotel Conca Bella, Restaurant & Bar? House Rules Hotel Conca Bella, Restaurant & Bar takes special requests – add in the next step! Any additional older children or adults are charged CHF 22 per night for extra beds. Hotel Conca Bella, Restaurant &amp; Bar accepts these cards and reserves the right to temporarily hold an amount prior to arrival. Hotel Conca Bella, Restaurant & Bar accepts these cards and reserves the right to temporarily hold an amount prior to arrival. Please note that the restaurants are open from Tuesday to Saturday.If you expect to arrive on a Sunday, please contact the property in advance for check-in arrangements. Please note that the city tax includes the Ticino Ticket. 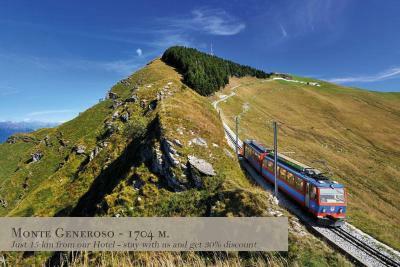 It offers free benefits and discounts in the Canton of Ticino, including free use of train and bus services. For more details, please contact the property directly. No air conditioning meant very uncomfortable night. Restaurant is aiming to be a gourmet destination within a 3 star hotel - bizarre! Breakfast not at all aiming at gourmet - very basic indeed - even more bizarre!!!! Noise at night. Rooms are not well isolated.